In this video I’ll be revealing the best way to buy gold. Clearly, there are many ways you can gain exposure to the gold market and buy gold itself – from gold jewellery, gold ETFs and gold mining shares. But today I’ll be focussing on the 5 exact steps you need to take to buy physical gold coins or bars as an investment. The best place to start is to find a gold broker. A top class specialist gold dealer will be able to provide low prices, choice, guidance, authenticity and a clear buyback process. Ensure the gold dealer you choose is credible and has a track record. They should be members of leading associations like the BNTA.net and have excellent customer reviews. You may find that different dealers specialise in different areas, so you should select based on which seems the best fit with your objectives. For instance, some may focus on tax efficient gold investments, while others specialise in collectable coins. Some dealers offer a buyback guarantee and certificates of authenticity with every purchase. The most effective way to ensure you’re on the right path is to combine your own independent research with the guidance of an expert gold dealer. Different types of physical gold suit various objectives better, so it’s always best to share your aims with the dealer. Building a trusting relationship can produce fantastic guidance and prevent you from buying the wrong type of gold for your needs. Considerations will be how much you wish to invest, whether you want to buy regularly, your investment horizon and the purpose of your investment. 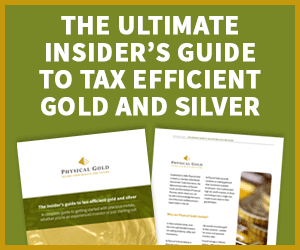 There are three main solutions for buying physical gold. It may be that one suits your needs better, or that you combine more than one solution. Buying gold outside of a pension is more flexible. You can start with buying one small bar or coin, and your money isn’t tied in until retirement like with a pension. With this route to market, you have the choice between buying gold coins or bars, or a mix of both. Your dealer should help steer you towards which is best for you, depending on value, divisibility, tax efficiency and liquidity. Buying gold on a regular basis, like with Physical Gold’s Monthly Saver, provides access to the market for those without large available capital to invest. Buying monthly will gradually build a nest egg and enable you to exploit any price drops in the market. you may have the choice between receiving your gold directly or having your gold dealer store it for you. Receiving your gold is ideal. You can enjoy the comfort of having direct access and enjoy its tangibility. In all likelihood, storing it yourself can be cheaper than paying someone else to do it for you. However, you need to ensure that your gold is stored safely and is fully insured. It’s not worth cutting corners on cost and put your gold at risk. Owning gold is about reducing risk, not taking on worry. If selecting professional storage with your dealer, make sure your gold is fully allocated and segregated. In other words, it shouldn’t be leveraged and should be ring-fenced from everyone. The final stage is making payment for your gold purchase. When purchasing online from a gold dealer, you can usually pay with a debit or credit card up to £5,000 and with online banking up to any amount. When buying £10,000 or more in any one go, you’ll be asked by the dealer to provide two forms of ID for anti-money laundering. So, that’s your 5 steps. Clearly, the success depends largely on how well you select a gold dealer. Bad guidance can lead to you paying over the odds or buying obscure gold. So do your research and speak to them on the phone before you choose. Our team at Physical Gold are available to offer you as much or as little guidance as you need. We can help to select gold, as well as answer questions on storage, payment, selling and buying. Call us on 020 7060 9992. If you liked this video, we have 20 in the series of gold & silver video guides. This entry was posted in Blog, Guides and tagged Buy gold, video.